On October 3, 2012, Save Open Space-Coventry Advocates hosted a forum for the 35th Senate district and the 8th House district at the Tolland Agricultural Center. The Senate candidates were Susan Eastwood and Tony Guglielmo. The House candidates were John Murphy and Tim Ackert. Please see the Oct. 5 J. I. article, Forum for for 35th Senate, 8th House revolves around rural issues. The changes primarily shift a number of uses that currently require a special permit — which necessitates a public hearing and closer scrutiny — into permitted uses, which can be approved by town staff and do not need to be reviewed by the commission. If the PZC approves the changes, a host of restricted uses, including bars and liquor stores, restaurants, multifamily dwellings, commercial parking, and retail stores, would become permitted uses in residential, commercial, and industrial historic districts, special economic development zones, planned commercial zones, and the downtown Rockville area. The proposed changes have been submitted to Vernon's Planning and Zoning Commission. A hearing is scheduled for Thursday, January 19, 2012 at 7:00 p.m. on the Third Floor of Town Hall, 14 Park Place, Rockville, CT. This PZC application is available for inspection by the public in the office of the Town Clerk, Memorial Building/ Town Hall, 14 Park Place, Rockville, CT; and at the Planning Department, 55 West Main Street, Rockville, CT. Please see the October 14, 2011 J.I. article, Vernon PZC approves Plan of Conservation and Development. This PZC application is available for inspection by the public in the office of the Planning Department, Vernon Town Hall, 14 Park Place, Rockville, CT. The Vernon Planning and Zoning Commission will hold a meeting on June 9, 2011 at 7:00 p.m. to discuss the draft Plan of Conservation and Development. The public will have an opportunity to speak at this meeting. The meeting will take place at the Senior Center, 26 Park Place, Rockville. Paving the way for big-box? Vernon's Economic Development Coordinator, Marina Rodriguez, has filed an application (PZ-2010-17) to ease Planned Development Zone restrictions at exit 67 (55 Reservoir Road, Vernon, where a Wal-Mart was proposed in 2003). This amendment could pave the way for a big-box store. At the November 4, 2010 PZC meeting, the amendment passed by a 5-2 vote with an amendment by Chip Bellows. Please also see the packet for October 7, 2010 PZC meeting	(PZ-2010-17 section only). A May 15, 2009 Los Angeles Times article reports that a San Bernardino County Superior Court judge has blocked a Wal-Mart supercenter in Yucca Valley, citing Wal-Mart's inadequate environmental and economic plans. A November 28, 2008 Hartford Courant article reports that a Wal-Mart worker in Long Island died after being "bulldozed" by a Black Friday bargain-hunting stampede. At least four other people were taken to the hospital after being injured in a scene that was described as "utter chaos." At the September 4, 2008 Vernon Planning & Zoning Commission meeting, Lee & Lamont Realty presented application PZ-2008-17, an Amendment to the Vernon Zoning Regulations to create the Comprehensive Multi-Family Dwelling Zone. See the August 22, 2008 public notice for more information. The hearing for this application will be continued at the September 18, 2008 PZC meeting. 4. DENIED - CVS PHARMACY, 22 WINDSOR AVENUE, a variance from the section 16.1.1, signs, to allow installation of Electronic Messaging Unit sign in the Commercial Zoning District. According to an August 21, 2008 J.I. article, former mayor Diane Wheelock has said she will resign from her Town Council position after a replacement is found. She will start her position as administrative assistant to mayor Jason McCoy on August 25, 2008 at a salary of $66,979 annually. Wheelock's planned resignation follows intense criticism by both Democrats and Republicans, and by an August 12, 2008 J.I. editorial. The state Appellate Court has granted a hearing regarding the Vernon PZC's decision to disallow intervenors. The hearing will be scheduled in approximately one year. Please see the July 1, 2008 J.I. article. A May 2, 2008 J.I. article reports that Home Depot is closing 15 stores across the country and is no longer pursuing the opening of 50 stores "that have been in its new store pipeline, in some cases for more than 10 years." It is unclear how this strategy will affect plans for a Home Depot in Vernon. The Planning & Zoning Commission denied Lee & Lamont's zone change request that would have allowed them to build condos on a 15.8 acre parcel near Amerbelle Mills. Please see the April 18, 2008 J.I. article. 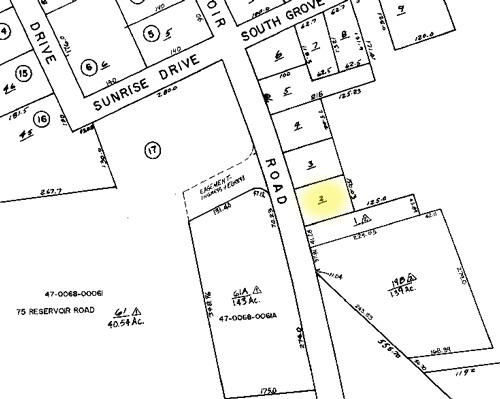 On January 16, 2008, Faith Lyman sold a 34.67 acre parcel on 243 Talcottville Road (route 83) in Vernon to Boston Rockville 2, LLC for $3,400,000. A May 18, 2007 J.I. article reported that there were discussions to develop a Target big-box store at the former Lyman Farm. On February 14, 2008, Judge Samuel J. Sferrazza approved a settlement for Home Depot. Please see the February 15, 2008 J.I. article, Court rubber stamps Home Depot settlement, opponents vow to persist. The State of Connecticut has launched a new website, Green and Growing - Tools for Responsible Growth. At the December 20, 2007 Planning and Zoning Commission meeting, the PZC voted to accept the mediated Home Depot settlement by a vote of 4-3. Please see an editorial by Glenn Montigny and Dave Batchelder, Proposed Home Depot settlement is an outrage, and a letter by Ann Letendre, Unsettling Home Depot settlement. Glenn Montigny and Dave Batchelder have filed an appeal in the matter. Please see the December 20, 2007 J.I. story, Residents file lawsuit over Home Depot plan. A December 28, 2007 J.I. story says that Town Attorney Harold Cummings plans to file a motion to dismiss the appeal after the New Year. According to a December 19, 2007 Hartford Courant story, Panel appointments delayed, Vernon Mayor Jason McCoy has nominated Robert J. Kleinhans of East Lyme and Solomon Kerensky of South Windsor for the Vernon Economic Development Commission. After Town Council members Michael Winkler and Marie Herbst asked whether EDC members may live out of town, the nominations were put off until January. The more serious issue, which was inadequately addressed by the Hartford Courant article, is a massive conflict of interest. Robert Kleinhans is a real estate developer who has done extensive work in Vernon. Jason McCoy has a law office at 280 Talcottville Road in Vernon. The Coldwell Banker office where Nell Kleinhans works is also at 280 Talcottville Road. Solomon Kerensky represented W/S Development, which applied to build a Wal-Mart supercenter near exit 67 in Vernon. Having these individuals on the Economic Development Commission would be like having the fox guard the henhouse. Does the Conflict of interest (chapter 2, article IV) section of the Vernon Code of Ethics apply to the Economic Development Commission? Sec. 2-63. Conflict of interest. A person who is subject to this article has an interest which is in substantial conflict with proper discharge of his duties or employment in the public interest and of his responsibilities as prescribed in the laws of the state and the town if he has reason to believe or expect that he will derive a direct monetary gain or other benefit, or suffer a direct monetary loss or other detriment, as the case may be, by reason of his official activity. He does not have an interest which is in substantial conflict with the proper discharge of his duties in the public interest and of his responsibilities as prescribed by the laws of the state and the town if any benefit or detriment accrues to him as a member of a business, profession, occupation or group to no greater extent than any other member of such business, profession, occupation or group. For the purpose of this article a public officer or employee shall be deemed to have an interest in the affairs of his or her spouse. Wal-Mart supercenter in South Windsor? A December 31, 2007 Hartford Courant article, Wal-Mart's Thinking Big, reports that Wal-Mart may build a 207,035 square foot supercenter on a 56 acre parcel in South Windsor near the Buckland Mall. South Windsor residents have hired Attorney Hal Cummings to represent them, not to oppose the project, but for lighting, landscaping and noise issues. In 2006, Home Depot was cited by the Connecticut DEP for improper display, handling and disposal of products including fertilizers and pesticides at 13 stores in Connecticut. Home Depot was asked to pay a $99,000 civil penalty and $326,000 to an agency fund for special environmental programs. The violations found at 13 Home Depot stores in Connecticut involved the improper display, handling and disposal of products – such as pesticides and fertilizers – that contain hazardous materials. Home Depot was also cited on a statewide basis for failing to comply with the state’s hazardous waste, pesticide and storm water management programs. An October 31, 2007 AP article reports that Home Depot and Polar Industries have tentatively settled for $5 million in a lawsuit brought by survivors of a 2003 fire at The Station nightclub in West Warwick, RI. The victims' lawyers claim that PolarGuard soundproofing foam, sold by Home Depot, was defective and was set ablaze by Great White's pyrotechnics. An October 8, 2007 New York Times article reports that a tile sealer, Stand 'n Seal, stayed on the shelves at Home Depot months after the Consumer Product Safety Commission determined that the product was hazardous. One victim of Stand 'n Seal, Dr. Walter E. Friedel, suffered from lung inflammation after using the product in 2005 and spent four days in intensive care. According to a July 12, 2007 law.com article, Home Depot Faces Multiple Suits Alleging Health Hazards From Grout Sealer, over 160 people have brought 31 product liability suits against Home Depot and other companies involved in the manufacture and distribution of Stand 'n Seal. Please see the Stand 'n Seal exposure site for more information. Application (PZ-2007-26) of Diamond 67, LLC, for a Site Plan of Development, Special Permits in the Aquifer Area and Special Permits in the Commercial Zone to construct an approximately 117,000 square foot Home Depot with a 28,713 garden center and related site improvements located at #117 Reservoir Road (Assessor ID: Map #47, Block #130, Lot/Parcel #1B). 6. 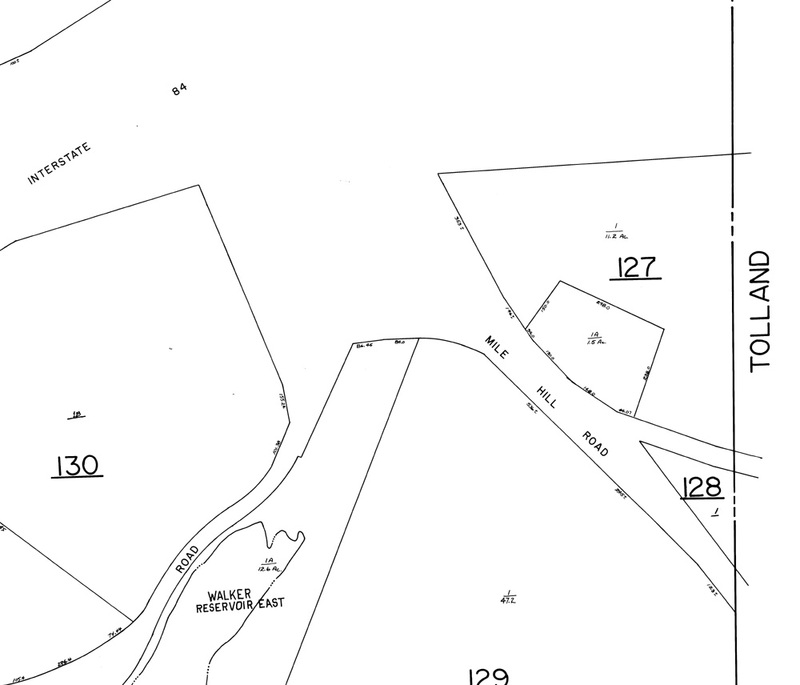 GRANTED, the appeal of LEE & LAMONT REALTY, 55 RESERVOIR ROAD, Vernon, CT seeking a variance to allow a reduction of the side/rear yard adjoining Interstate I-84/Sate of Connecticut property to 50 feet for multi-family and multi single-family housing (Sections 4.25.2.4, 4.25.2.5 and 4.25.4.3.16.7) located in the Commercial zone. The Planning & Zoning commission had already denied Lee & Lamont's application for a reduction of the side/rear yards. The ZBA did not explain Lee & Lamont's hardship and incorrectly identified the zone as commercial. The property at 55 Reservoir Road is zoned Planned Development Zone (PDZ). In a June 27, 2007 letter, Diamond 67, LLC asked the Vernon Planning and Zoning Commission to send an approval letter for Home Depot by July 9. Diamond 67, LLC claims that the March 3, 2003 Home Depot application has been automatically approved because the Planning and Zoning Commission failed to send a denial letter for that application. According to a letter written by town attorney Harold Cummings, the 2003 application is not automatically approved, in part because the Home Depot application requires at least five special permits. The Planning and Zoning Commission denied the 2003 application at the July 19, 2007 meeting. See the July 10, 2007 J.I. article, Vernon Home Depot looking for loophole and the public notice. Diamond 67, LLC has filed a lawsuit against the town for the rejection of the 2003 Home Depot application. Please see the August 2, 2007 J.I. article. Please see Robert Thorson's June 3, 2007 commentary about the proposed Home Depot in Vernon. On June 20, 2007, Maine Governor John Baldacci signed the Informed Growth Act, LD 1810, into law. The bill allows municipalities to charge up to $40,000 for an impact study for proposed retail stores over 75,000 square feet. More information is available in a June 21, 2007 Bangor Daily News article, Baldacci signs 'big box' impact study bill. Vernon Town Planner Neil Pade has resigned. His last day in office was July 6, 2007. He has taken a similar position in Canton. Please see the June 19, 2007 J.I. article and the July 17, 2007 ReminderNews article. Some development projects, like office buildings, prefer greater street presence and better curb appeal, and as it stands now the current regulation limits both tracts to having only "big-box" superstore development, Rodriguez said. The Planning and Zoning Commission passed the amendment on April 19, 2007. "You can actually kayak to the site, do a little shopping, and kayak back," she said. In March, Rodriguez says the the PDZ regulations only allow big-box development. In May, Rodriguez endorses a plan for a big-box store that was made possible by her amendment. Finally, she makes a puzzling comment about kayaking to Target. What is going on here? Lee & Lamont's amendment to the Planned Development Zone at I-84, exit 67has been denied. A development for multiple single family and multi-family dwelling having less than the required rear or side yards when the abutting use is Interstate I-84 and all other special permit requirements are met. Please see the June 23, 2007 J.I. article. Home Depot has filed an application with the planning and zoning commission to build a 117,000 square foot store with a 28,713 square foot garden at 117 Reservoir Road in Vernon, near exit 67. The application will be received at the June 7 PZC meeting. Please see the May 31, 2007 J.I. article. Please see the May 19 and May 23 articles concerning Home Depot, Wal-Mart and Target. At the April 19, 2007 Planning & Zoning meeting, the commission passed amendments that reduce the front yard to 50 feet for Planned Development Zone parcels at Gerber Farms and exit 67. The front yard will not increase for buildings over 40,000 square feet. The amendments were introduced by Economic Development Director Marina Rodriguez. Although the stated reason for the amendments is to allow more flexibility in building placement, the net effect is that larger buildings will be allowed. Please see the poorly named (the regulation would also affect exit 67) March 2, 2007 J.I. article: Proposed zoning regulations to affect Gerber Farm. A February 2, 2007 J.I. article reports that plans have been filed for the demolition of the Manchester Parkade. FNM Manchester, LLC plans to build a 168,634 square foot building with 740 parking spaces in the place of the demolished building. There is speculation that Wal-Mart plans to occupy the building. However, Chris Buchanan, senior manager of public affairs for Wal-Mart said, "We don't have any publicly announced plans for Manchester." On December 7, 2006, the Vernon Planning & Zoning Commission denied Galaxy Development's application for a zone change from R-27 to commercial at 168 Mile Hill Road. See the December 9, 2006 public notice. Although the application claimed that the area in question was "8.8 +/-" acres, the assessor's map shows that the total area is 12.7 acres (11.2 acres for Map #47, Block #127, Lot #1 and 1.5 acres for Map #47, Block #127, Lot #1A). A seminar on Freedom of Information will was held on October 12, 2006 at the Senior Citizens Center in Rockville. Please see the Freedom of Information website. An unnamed company has plans to build a 160,000 square foot "big box" building at the vacant part of Manchester Parkade. The store would sell general merchandise, groceries, and would include a lawn and garden center. A Wal-Mart spokesman says Wal-Mart has "no publicly announced plans" for Manchester. See the September 22, 2006 J. I. article, Wal-Mart says it has no 'announced' plans for Parkade. Wal-Mart has a history of hiding its identity. See the May 22, 2005 Morning Sun article, Yea or nay, Wal-Mart plan should be debated in public. The $70.7 million dollar budget passed on July 13 by a vote of 1,667 to 1,445. The new property tax rate is 36.73 mills. See the July 14 J.I. article, Fourth budgets passes, finally. The Connecticut Department of Environmental Protection has fined Home Depot $425,000 for violations at 13 Connecticut stores. The violations involved improper handling of pesticides and fertilizers. See the June 14, 2006 J.I. article. Neil Pade has been selected as Vernon's new Town Planner, effective May 3, 2006. See the May 1, 2006 J.I. article, Assistant town planner moves up a rung and the May 3 article, Vernon council, town officials beam over new town planner. In the April 21 edition of the Journal Inquirer, a letter by Harold Cummings and an editorial suggest that the Town of Vernon consider other options for a recreation facility. On March 28, 2006, the Stafford Planning and Zoning Commission voted 3-2 to adopt a zoning amendment that limits the size of new businesses to 40,000 square feet. See the March 29 J.I. article and an excellent letter in support of the amendment. An April 4 J.I. article reported that Progress for Stafford, a pro-development group, has disbanded. On March 28, 2006, the Vernon Inland Wetlands Commission unanimously rejected Capstone Builders' plan for an 18 lot subdivision off Grier Road. Commission members walked the site and found evidence of vernal pools that were not shown in the application. See the March 29 J.I. article and Edie Chernack's letter. An April 14 J.I. article reports that Mark and Susan St. Germain have sued the Inland Wetlands Commission over the denial. The March 14, 2006 edition of the Journal Inquirer reported that Home Depot. has purchased the 14.7 acre parcel at 117 Reservoir Road, former site of New England Sportsplex. See the article, Home Depot buys controversial site. The February 25 edition of the Journal Inquirer reported that WCW, LLC (Wayne Williams) sold 117 Reservoir Road to Diamond 67, LLC for $2,800,000. See the map. On December 30, 2005, William and Merlene Bray sold a 47.2 acre parcel on Mile Hill Road in Vernon (M47 B129 L1) to WW Ent LLC for $800,000. The principal of WW Ent LLC could not be determined, but it is likely Wayne Williams of WCW LLC, owner of the former ball fields at 117 Reservoir Road. See the map. Two subdivision applications have been approved because Vernon's Planning and Zoning Commission did not act in a timely fashion. The application for 271 Lake street was approved because Town Planner Thomas J. Joyce, Jr. failed to notify the commission of a statutory requirement of opening a public hearing within 65 days of the application. The application for 242 Brandy Hill Road had been denied in November. However, no notice of denial had been sent to the applicant, T & S investors. See the J.I. article. Town Planner Thomas J. Joyce, Jr. has announced that he will retire at the end of March. More information in a J.I. article. The town has advertised for a new town planner. Max Javit has listed Tri-City Plaza, which includes 300,038 square feet of retail space, for $51.1 million with Spaulding & Slye. More information in a J.I. article. Town Engineer DeWilton (Tim) Timberman III has been suspended until March 1, when his license is expected to be renewed. 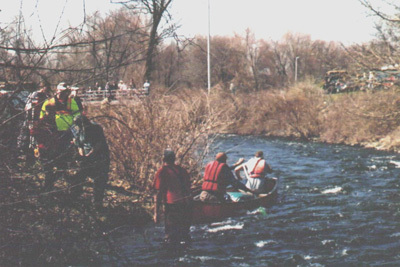 Timberman has been practicing without a license for at least five years, although the town charter states that the town engineer "shall be a professional engineer licensed in the state of Connecticut." More information in a J.I. article. "I'm as embarrassed as anybody to stand up here and admit our department made a terrible mistake." A member of the public called Timberman an "amateur" and stormed out of the town council meeting. See the Hartford Courant article. On January 19, 2006, the Vernon PZC voted unanimously to remove special provisions for elderly housing from the zoning regulations. See the J.I. article. Following an intense opposition to the denial of Jane Seymour's reappointment to the Inland Wetlands Commission, the Town Council reversed its position. More in the J.I. article. The fall community event being planned for the public is the premiere screening of the Robert Greenwald film, "Wal-Mart: The High Cost of Low Price." Director Greenwald presents his newest documentary which takes the viewer on a deeply personal journey into the lives of families struggling to fight this giant corporation. Segments of community meetings in Vernon and Stafford Springs were filmed to be incorporated into this film. Our screening is at the Vernon Senior Center, 26 Park Place, Vernon, CT, Friday, November 18 at 7 p.m. The event is free. Citizens for Economic Opportunity and SGV are co-sponsors. SGV welcomes new members, please contact us. See the flyer for more information. Please see www.walmartmovie.com/find.php for screenings in other locations. On July 27, 2005, Superior Court Judge Jane Scholl refused to grant a wetlands permit for Diamond 67, LLC, which seeks to build a Home Depot at 117 Reservoir Road in Vernon. Judge Scholl also rejected the second lawsuit, a mandamus, or temporary injunction, asking the court to grant a wetlands permit or order the Inland Wetlands Commission to act "expeditiously." Judge rejects Home Depot developer's appeal, July 28, 2005. Stop encouraging its employees to spy on suspected pro-union coworkers and get rid of its anti-union hotline. Stop spending money on anti-union consultants on-or-off the books, including its "People Division," an on-call unionbusting army to respond to the 'threat' of unions in its stores. Stop closing stores or departments where its employees have decided to form a union. If you disagree with Wal-Mart's union-busting tactics, please sign the petition. At the June 13, 2005 special meeting, the PZC voted to accept new zoning regulations for the Gerber Farms area and the exit 67 area. The new zoning regulations take effect on July 2, when the moratorium expires. The new regulations are explained in this document. Talking to the Wall was shown at the Stafford Public Library, 10 Levinthal Run, Stafford, on Wednesday, March 30, 2005 to an audience of 100 people. See www.staffordfirst.org for more information. Sprawl. Urban sprawl. Chains of fast food restaurants. Grease. Vehicular traffic. Air pollution—lots of it. Depletion of natural resources. Oil Dependency. The American love of cars, trucks, travel, and speed is so ingrained in us that it seems most people are willing to pay the price for all of the above. Realizing that most people will continue their motoring habits, the Japanese car manufacturers produced the hybrid car. I embraced this idea and dreamed of owning a new hybrid and was willing to wait a year if necessary. However, after contacting a dealership that would take my order and after being put on a long waiting list, within 24 hours, I received the crushing news that the dealership could not meet the demands of its customers. There would be no waiting list. I was discouraged. My hopes and dreams of saving the planet and preserve the Alaskan wilderness were dashed! The majority of hybrids were targeted for the West Coast—it's always California. So what is next? What could be better than owning a Toyota or Honda hybrid? (I did harbor doubts about the disposal of the battery after its shelf life has expired.) The cost of the hybrid is high and would stretch the budget of the average, energy-conscious consumer. What is another alternative? Let's return to sprawl—fast food chains—grease. Yes, grease— used cooking oil, waste oil, vegetable fuel systems. It's a non-polluting alternative to owning a hybrid. Grease is everywhere—an abundance of sources—doughnut shops, fast food places, Asian restaurants, and greasy spoons are the places most mentioned. Realizing that many Americans do not want to change or will not change their driving habits, the grease car, vegetable fuel system conversion kit was created. I recently visited an old, abandoned factory in a former New England mill town, East Hampton, Mass. There I toured the facility that designs and produces grease car conversion kits. These kits allow you to convert your diesel-powered car, truck or van into a non-polluting vehicle that runs on cooking oil! (You can also use biodiesel.) Here is an affordable alternative to the expensive hybrid. No special battery needs to be manufactured and disposed of in 7 years. My dream of saving the planet still reigns. This company produces 40-60 kits a day and expects the number to grow as more towns, municipalities, and consumers learn about this product. Yes, school buses can be converted and there is growing interest in this area. Availability of sources for used cooking oil is endless. Many restaurants pay high disposal fees to have their waste oil taken away. The originator of the diesel engine, Rudolf Diesel, designed his engine to run on peanut oil. In fact these engines do run better on oil than on diesel fuel. Also a diesel engine can easily run 300,000—500,000 miles in its lifetime. While we may have to live with existing sprawl, air pollution, and high fuel prices, choices are there for the consumer. You can reduce the pollution your vehicle contributes to the environment. You can save money. You can reuse a disposable waste product. You can help eliminate the American dependency on petroleum and save Alaska! "GREASE" is the word. For more information on grease cars, vegetable fuel systems, and conversion kits contact: www.greasecar.com. 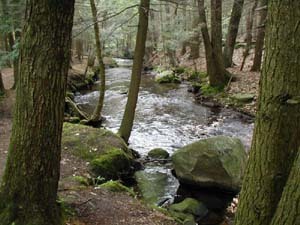 Despite the threat of a major winter storm, the workshop held on January 22, 2005, Vernon, CT, brought together a diverse group of people that share a common goal — protection of open space and protection for the creatures that live there. Dr. Michael Klemens gave participants an in depth talk on wetlands, biodiversity, and tools for planning which included a slide show highlighting his field work. While the nature lecture was very informative, Dr. Klemens also stressed the role of the public in the process of planning and development in our towns. Instead of bending over backward to meet the demands of a developer submitting an application, make the developer bend to the "giver," the community. After a networking lunch, we convened to hear Attorney Marjorie Shansky speak on the role of commission members—assert their jurisdiction and authority and demand more. You can disagree with your town engineer—it's okay. These words opened a lot of eyes! Immediately following her talk, we convened into small breakout sessions. This enabled us to dialogue with other participants from towns such as Bolton, Windsor, Plainville, Killingly, and Stafford Springs. We shared our concerns, triumphs, and defeats. To me this was a very important part of the workshop. Back in the large group discussion, a list of suggestions was generated. These particular suggestions were directed to the host group, MCA, to consider: gather ecological data for standards for towns to use for reference, become a clearing house of information, list grants for towns to apply for to help with studies and help pay the costs for updating regulations. On October 1, 2004, Steve Alves presented his film, Talking to the Wall in Vernon. Mr. Alves discussed Greenfield's successful fight to keep Wal-Mart from building there. See an interview with Steve Alves on NewEnglandFilm.com. Groups are welcome to borrow the Talking to the Wall videotape from Smart Growth for Vernon at no charge provided that no fee is charged at the showing. Please e-mail info@smartgrowthforvernon.org for more information. To learn more about the origin and purpose of Smart Growth for Vernon, see the about us page. "Retail development should be limited to prevent Vernon from becoming another Manchester in the Route 84 corridor or like the Berlin Turnpike along other major corridors in Town." [p. 3, Vernon Plan of Conservation and Development]. The largest current threat to smart growth in Vernon was a proposal for a Wal-Mart "Supercenter." On two separate occasions, W/S Development Associates, LLC of Chestnut Hill, MA submitted application to the Vernon Inland Wetlands Commission to build a 186,000 square foot, 24 hour Wal-Mart "Supercenter" with 859 parking spaces, a garden center and tire and lube center, near exit 67 in Vernon. W/S Development withdrew the first application. The Inland Wetlands Commission denied the second application, saving resources like the Belding property. There are many reasons why this application does not represent smart growth. Please see the wetlands, environment, public benefit and Wal-Mart vs. Democracy sections for more detail.